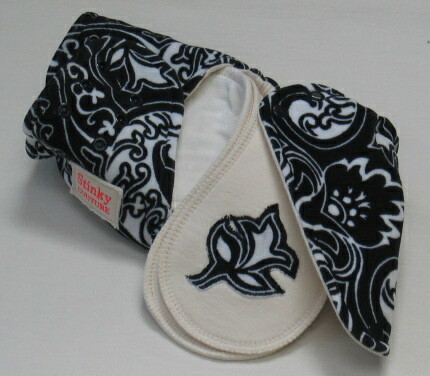 First and foremost Stinky Couture™ is innovative in design with extraordinary attention to quality and detail. It’s worth mentioning that Stinky Couture™ products have not, nor have ever been, touted or advertised as all organic or all natural. From conception the primary focus for fabrics has been on boutique, out of print, hard to find and rare prints with special consideration to organic and organic blend fabrics. That said, high performance fabrics are incorporated in many Stinky Couture™ designs. High performance fabrics may include, though are not limited to, athletic wicking materials, polyester/polyester blend fabrics, polyurethane laminate (PUL) and Zorb™, which we were at the forefront in incorporating as a staple fabric in the cloth diaper community as noted in our August ’08 post The New Blue Superhero in SC’s life . . . 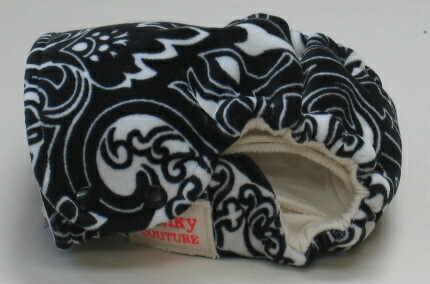 Following the CPSIA bringing to the forefront of discussion and legislation the safety of all products intended for children under 12 years of age, as well as our desire to keep parents informed, Stinky Couture™ began including a content card with each product this year that details the fabrics used. Please note our About Our Products page has been updated with this additional detail. The Stinky Couture™ product line will continue to evolve in order to address and accommodate the needs and desires of you, our customer. I say yet again that I am so fortunate to have so many of you that started as customers become my friends over time, and I do so enjoy watching your babies grow. I value your friendship and am thankful for the support you provide for me an my family.